Home / 2D animation / anime / articles / CP / lists / Studio Ghibli / The Search For the "Next Miyazaki"
The Search For the "Next Miyazaki"
On the first of September 2013, animation fans got the news they had long been dreading: master animator Hayao Miyazaki announced his retirement from directing features. After a career that saw him become one of the most respected figures in animation worldwide and arguably the greatest living director working in the medium, The Wind Rises is his to be his final anime feature (although he plans to make anime shorts for the rest of his life). Although this isn't the first time he has declared his intention to retire, this time it seems more likely to stick. 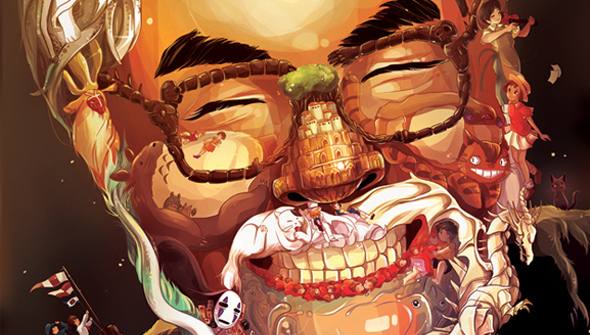 The output of Studio Ghibli, and Miyazaki, in particular, has achieved a staggering level of success. In Japan, the release of a new Miyazaki film has always been a major event, that brought people of all ages and backgrounds flocking to the cinema. The journalistic short-hand that labels Miyazaki the “Japanese Disney” doesn’t even begin to cover it. He has won more than 70 awards including the Golden Bear from Berlin Film festival and the Best Animated Feature Oscar. His films achieve success in their homeland more comparable to the likes of Star Wars or Harry Potter in the West, with Spirited Away becoming the biggest ever film at the Japanese box-office upon its release. Outside Japan he has made a sizeable impact too, winning fans from far beyond the usual anime fanbase. Animation aficionados, cinephiles and more general family audiences alike have eaten them up. His films have even become a staple of the Film4 TV channel's schedule in the UK. Industry watchers have long wondered about the future of a Miyazaki-less Japanese animation industry. With Miyazaki at 73 and Ghibli co-founder Isao Takahata (director of Grave Of Fireflies and The Tale Of The Princess Kaguya) five years his senior, we must wonder who is gearing up to take over. Does anyone have the potential to rival Miyazaki's household-name status and reputation? And perhaps even more pressingly, is there anybody who has the creative chops to take the reigns of Ghibli itself and lead it into a bright new future? A few directors have been tipped by some as potential candidates to be the “next Miyazaki”, but who (if anybody) has what it takes? Yonebayshi has worked his way up through the ranks at Studio Ghibli, progressing from humble inbetweener, to lead animator. In 2010, then aged 37 he became the youngest feature director at the studio with the release of Arriety. Based on British author Mary Norton's The Borrowers, the film- which was released at The Secret World of Arriety in the States- was based on a script by Miyazaki himself. 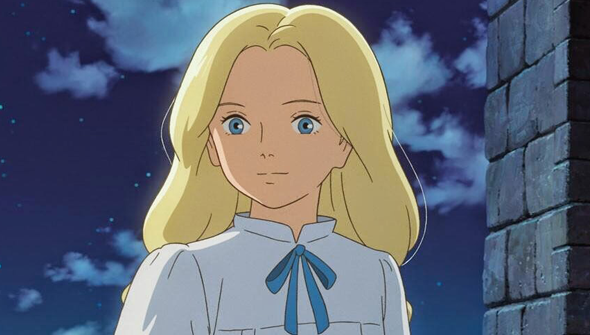 2014 saw the release of his second feature When Marnie Was There- Ghibli's last film to date. Yonebayashi captures the traditional Ghibli style beautifully, but it remains to be seen what he would be capable of if he was allowed to find a style all of his own. Starting off as a landscape gardener, Miyazaki's oldest son eventually followed his father into the animation business. Miyazaki Junior made his directorial bow with the Ursula Le Guin adap Tales From Earthsea. Slavishly copying Dad's style, the film was a commercial success but a critical flop, landing the Japanese equivalent of the Golden Raspberry. To make things worse the film even lead to father-son tension as Miyazaki senior reportedly did not think Goro was ready for such a high-profile gig. The hatchet was soon buried though, and Hayao worked on the screenplay for his son's much improved next feature From Up On Poppy Hill. 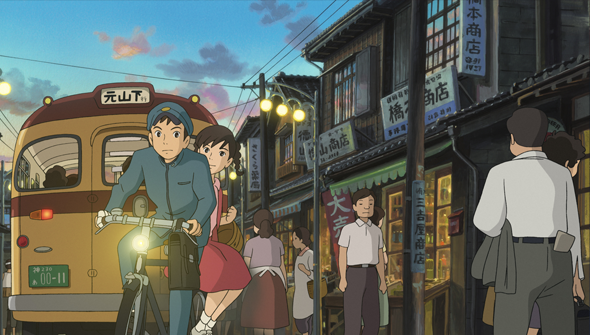 This time, however, critics were on board, and Poppy Hill even won the Animation of the Year award from the Japanese Academy. Goro has since worked on the television series Ronia The Robber's Daughter. Much like Miyazaki, Hosoda started his anime career in TV. He moved into feature directing with Digimon the Movie and the sixth movie in the hugely popular One Piece franchise. At one point he was even due to direct Howl's Moving Castle for Studio Ghibli but was booted off the project in the early days. From this early set-back he went on to become a director of considerable acclaim, producing a number of films at the studio Madhouse that earned him comparisons with the master himself. 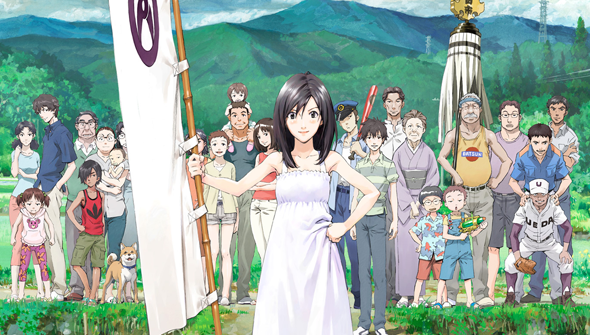 Hosoda first started attracting attention with the hugely charming The Girl Who Leapt Through Time. His following film Summer Wars only grew his reputation, so that when 2012's Wolf Children started doing the festival circuit it debuted with no small amount of interest. His next film, The Boy and His Beast is due to open in Japan summer 2015. Shinkai broke into the industry with Voices Of A Distant Star, a 25 minute long short that he produced entirely by himself on his Power Mac. Within two years of its release he was in charge of a fully staffed theatrically released feature with The Place Promised In Our early Days. Shinkai is a very hands-on director, contributing storyboards, backgrounds and more on his various projects. 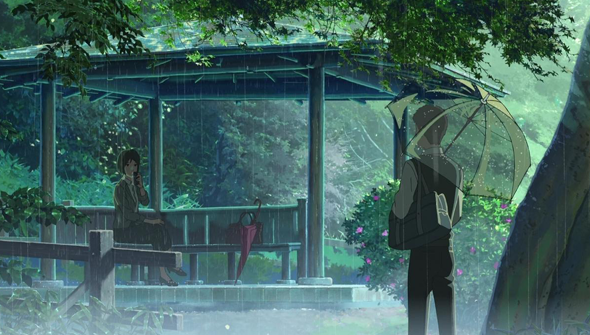 Although he can be considered a true auteur with a very singular vision, Shinkai's works are something of an acquired taste and have nothing like the universal appeal of Miyazaki's movies. 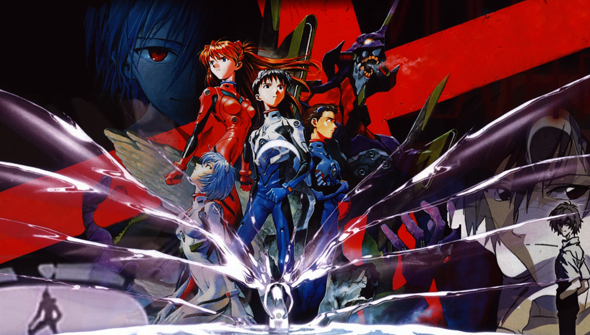 Co-founder of fan favourite Studio Gainax, Anno has been in the industry for more than thirty years. Although best known for his magnum opus Neon Genesis Evangelion, he actually worked with Miyazaki early on in his career producing animation on Nausicaa Of The Valley Of The Wind. In 2012 he produced A Giant Warrior Descends on Tokyo which was said to be Ghibli's first live-action short. In a 2013 interview, Miyazaki gave his blessing for Anno to direct a sequel to Nausicaa, based on the later chapters of the manga. Whether it will actually happen is another matter entirely.